As simple as it is, you'd think it would be nigh impossible to improve on the paper coffee cup. After all, as long as it holds coffee without leaking, what's there to improve? 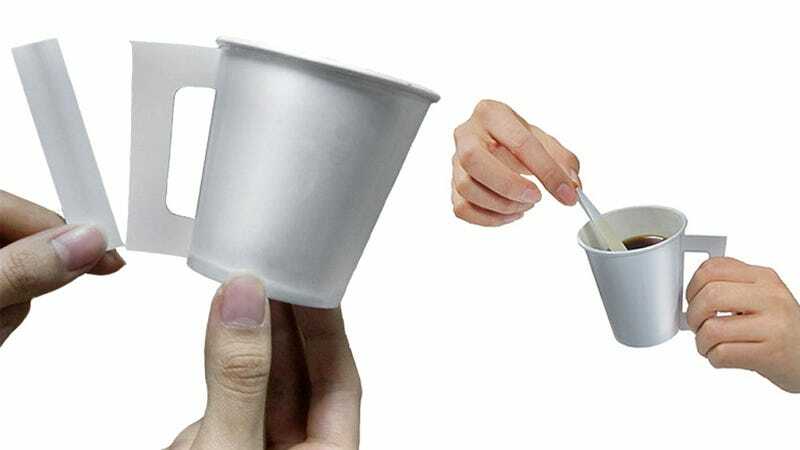 Well, designers Hongseok Kim and Inhye Hwang found a way, by adding a tear-off stir stick to the paper handle.